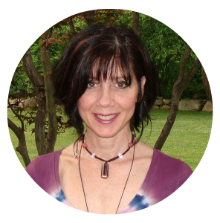 Linda Armstrong is a certified Law of Attraction life coach. She guides people to know their Power-With-In and their connection to the Universal Energy. She helps clients tap into that energy to create their lives by using just their own thoughts and emotions, to be inspired to what they want to create, and to enjoy every step on their journey through life. Linda loves coaching and says that her purpose in life is to help people to really start living their lives using their thoughts. Find Linda online at Linda Armstrong.